Buying a campervan can be overwhelming. Handing over several thousand dollars to a stranger is a little scary. Cars and vans in New Zealand are turned over each season by backpackers, leaving doubt into the condition of the vehicle. We arrived in New Zealand in early March, a good time to buy a vehicle, and planned to stay until the end of May, a bad time to sell a vehicle. We needed to be confident that we got a good deal on a reliable campervan. Hours of research and countless nights were spent browsing backpacker boards. We wanted to find that perfect campervan. After looking at several backpacker-ready vans, we felt stuck. Many of these vans were beat up, with high mileage, and quite old. The prices were too high. Half of our meetups were canceled last minute because “the van was just purchased by another backpacker.” The frenzy was on. Instead of buying a campervan from a backpacker, we changed direction and took another approach. We decided that whatever we purchased, we would preferably sell to a local at the end of our stay. We settled on a station wagon that could also sleep us comfortably. The seats fold completely flat, large enough for two to sleep in the back. Not only was it discreet it saved us heaps of gas. 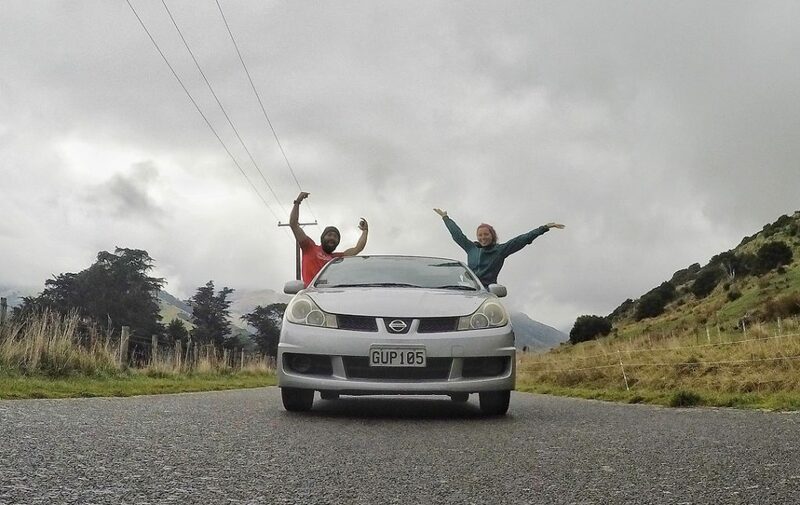 With lots of storage space available in the trunk, we packed it up, and hit the road in our new New Zealand car! 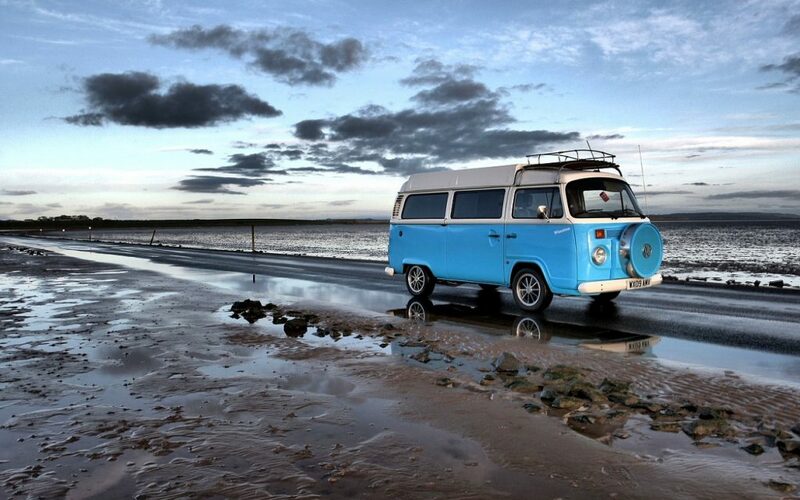 Buying and selling a campervan takes time and effort. While it is possible to get lucky, allocate at least two weeks for the purchase and sale of the vehicle. It should take three to four days to buy a campervan, and may take over a week to sell it. The main deciding factor in buying vs. renting is the length of stay. We believe buying is only worth the investment if staying longer than two months. If money is lost when selling it will usually be less than the cost of a rental. There are some risks with buying a campervan. Managing maintenance issues and potential breakdowns that cost time and money and potentially having trouble selling the campervan. Seasonal demand for backpacker ready vans is a reason in buying a vehicle. The backpacking season peaks in summer (Dec – Mar), making late spring and summer a buyers frenzy and late summer and autumn a sellers frenzy. Prices will be higher in spring and lower in autumn as a result. We recommend visiting New Zealand late summer into autumn. There are great deals for vehicles during this time. With that said, it is tougher to sell the vehicle as it gets close to winter. Depending on the vehicle type, it is important to have a budget in mind. 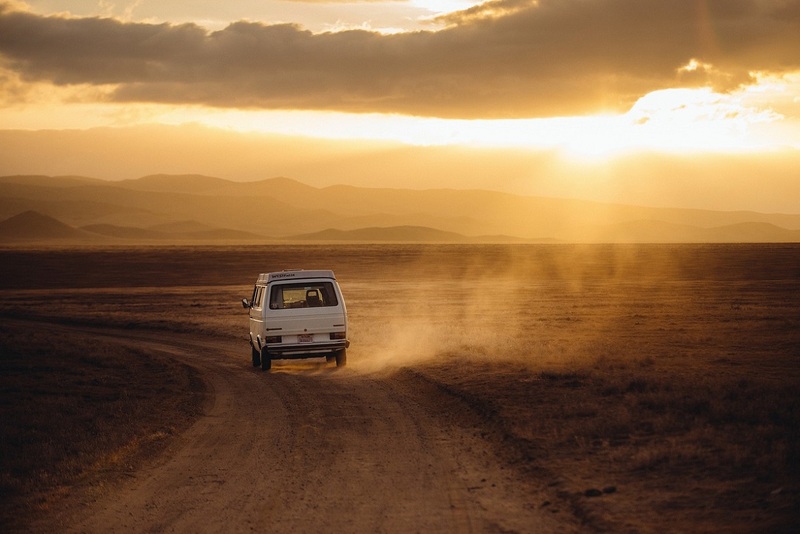 On average, most vehicles sell in the range of $2,500 to $4,000 for an older backpacker car, however, it is possible to get a very cheap small car (as low as $1,500), or invest more in a self-contained campervan (up to $8,000). A valid drivers license is required to drive in New Zealand, however, the license must be in English. In order to buy a vehicle, an internationally recognized license and a valid passport are the only documents required. Warrant of Fitness is a regular inspection to make sure that the vehicle meets certain required safety standards. A valid WOF is required for any vehicle to drive in New Zealand. Tests are conducted on the vehicle for lights, tire thread, seat belts, brakes, suspension, leaks, and other minor checks. While this is not a full vehicle inspection and does not look at major things like the engine and transmission, it is the first step to making sure the vehicle is in good enough shape to drive. Vehicles manufactured before 2000 get a WOF valid for six months. Anything newer than the year 2000 gets a WOF for one year. WOF’s are obtained at any mechanic shop and cost between $40 – $60 plus any potential issues or repairs required. It is best to get a WOF done at a reliable mechanic or a local AA shop. Read more about WOF here. Registration is required for all vehicles. Costs are $176 (six months) or $202 (one year) for vehicles under 2,600cc and cost are $208 (six months) or $234 (one year) for vehicles over 2,600cc. Find out more information at https://www.nzta.govt.nz/vehicles/. All vehicles pay to be on the road in New Zealand. Most cars (petrol, under 3.5 tonnes) already pay taxes on petrol. Vehicles that need attention for RUC are Diesel operated vehicles over 3.5 tonnes. A separate RUC license is required for purchase in intervals of 1,000 kilometers. For every 1,000 kilometers driven, a fee of $68 will apply. The intent of this is for trucks, however, some campervans also fit into this category and require payment of RUC. We saw a few ads for diesel vans that stated you will save heaps of petrol. However, after paying the RUC fees the cost will be comparable. Find out more at NZTA. Before buying any used vehicle, it is best to get it fully inspected. This can save hundreds if not thousands of dollars before buying a dud. If there are no issues, this report is a good selling tool when selling the vehicle. Go to a reliable mechanic or one of the many AA locations throughout New Zealand. Cost for a pre-inspection is $140-$170. Find AA locations here. Buying a vehicle history report will uncover any theft or prior accidents. If the vehicle is imported used, it will only show reports from New Zealand onwards. Purchase a report for $20 at Motorweb.co.nz. This does not apply to private sales, but when purchasing a vehicle from a dealership, it is good to read up on this law. If they sell a lemon there is protection. The law provides buyers protection of a product they purchased that has issues that were unknown or unforeseen at purchase. Read more about the Consumers Guarantee Act here. Insurance is not required to drive a vehicle in New Zealand. There are options for comprehensive as well as third-party insurance. Comprehensive insurance covers everything. If there is an accident, it covers all costs for vehicles involved and all persons involved minus a deductible. Third party insurance, however, would only cover the costs to the other vehicle and persons involved. It would not cover the damage to your own vehicle. As a result, it is more affordable. We recommend AA comprehensive insurance. This can be done online on the NZTA website. The buyer and seller will have to complete this online form. There are also paper forms at any NZ Post or AA office. There is a $9 fee when purchasing the vehicle (buyer) and takes only minutes. There are several options to consider when purchasing a vehicle. Is it backpacker ready? Comfortable? What is the resale value? How many kilometers? What is the overall value/condition? Which type of vehicle should I buy? Station Wagon – Cheap option, many station wagons can accommodate a small bed, typically perfect for one person or very close friends. Good for resale value. Mini Van / People Mover – Allows for more space and storage, better for two people. Usually supplied with a built-in bed/frame with storage underneath. Converted Utility Van – Awesome sauce van, usually equipped with a kitchen perfect for rainy days. Lots of room and comfort. Higher petrol costs. Motor Homes – Obviously if you have the money to spend on one of these puppies go ahead and do it! They are really comfortable. However, they eat petrol and may be more difficult to sell. There are loads of backpacker vans ready to go, fully equipped with beds and all camping gear needed. However, these are typically old, with very high kilometers. The true condition of the vehicle is never known without a vehicle inspection. I thought backpackers also did not price their vehicles accurately. Although we didn’t go this route, finding a good van is doable. For peace of mind, get the van checked by a mechanic. Another option is to buy a used car, privately or from a dealership. With the savings from buying privately (often cheaper), there is little investment, around $500 to $750 to fully convert a van into a backpackers paradise. Another option and possibly the best for resale is to find a station wagon or van where the seats fold completely flat. Smaller in size, but better on gas mileage, this can then be resold into the car market, not only to backpackers. 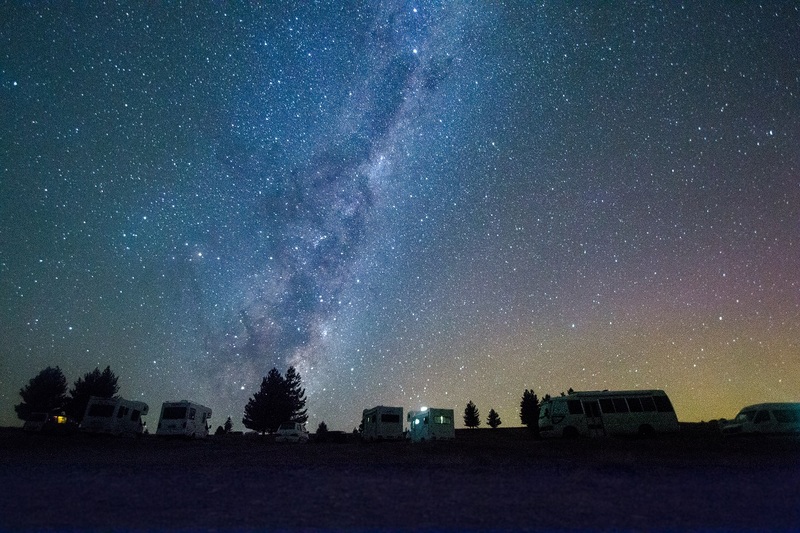 Many areas of New Zealand allow freedom camping. There are about 350 free campgrounds that are allocated for self-contained vehicles. 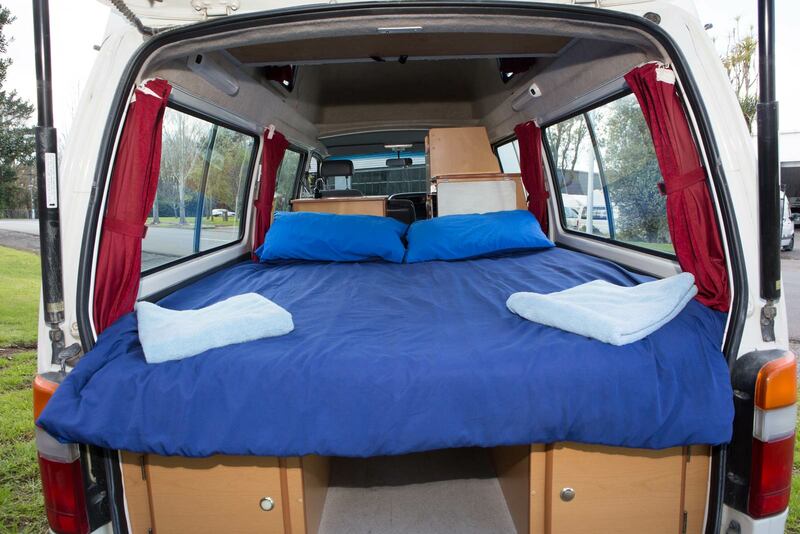 Although not as plentiful, there are free options for regular campervans. 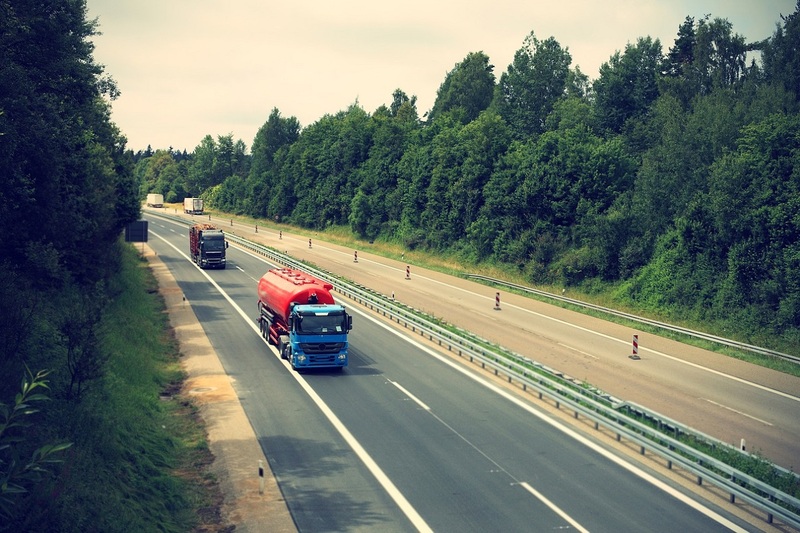 There is a large cost increase to buy a self-contained vehicle. To decide if it is the right option for you, check one of the phone apps, Campermate or WikiCamps NZ to see how many sites are available. For more on self-containment, check out the New Zealand Motor Caravan Association’s website. Backpackers post campervans for sale as well as other goods available for sale. This is useful for other purposes as well, such as jobs, WWOOFing opportunities, ridesharing, and much more. See more at https://www.backpackerboard.co.nz. To learn more about WWOOFing, check out www. wwoof.co.nz. This online auction and marketplace have all types of vehicles for sale from private owners as well as dealerships. 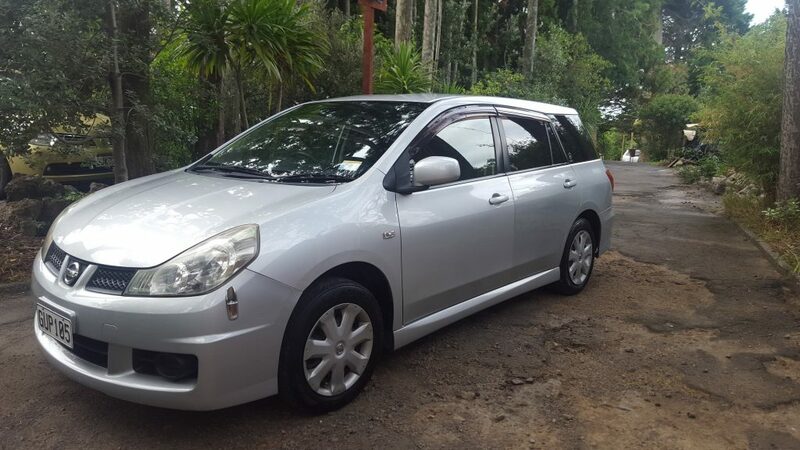 We found several good options on Trade Me, which is how we found our car. Check out what is for sale at http://www.trademe.co.nz/. There are many dealerships who specialize in used cars and van, especially in Auckland. Used vehicles that are first-time imports from Japan cost more. The best bet is to try to find a car that another buyer traded in. Dealerships do not want these, and typically are willing to settle for lower margins. Check out Turners or other big dealerships. Penrose is Auckland was a good place for many of these used vehicle dealerships. There are auctions in most major cities in New Zealand. Turners also has auctions in major cities. Auckland Turners has a Thursday auction for vehicles under $8,000. The Auckland Car Fair is the largest auction in New Zealand, located in Ellerslie every Sunday from 9am to 12noon. Two Facebook groups, “Backpackers New Zealand” and “New Zealand Backpackers” are both good to sign up for before traveling to New Zealand. Both allow users to share posts on their campervans and cars for sale. These are also good for meetup and travel inquiries. 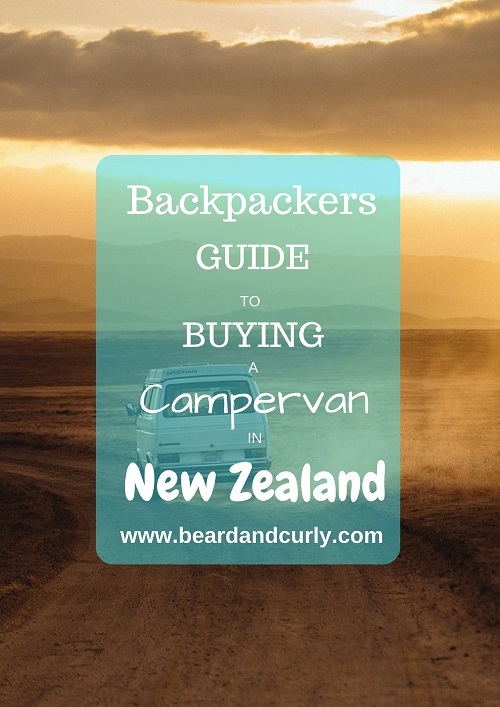 Another group, “Backpacker Cars New Zealand,” while smaller, is also a good group to join. Many backpackers and hostels have sales binders with anywhere between 20 and 50 vehicles listed for sale. Most of these seem to be overpriced and extremely old (high kilometers), but there likely are some gems as well. Don’t bite on the first one just because it is available. 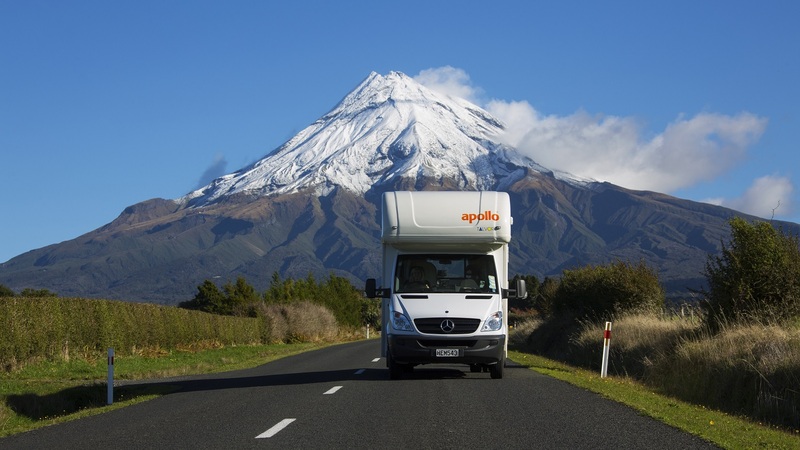 Even if campervans are selling quickly, it is important to feel good about the purchase. Waiting may turn out better options or a better deal. Most likely all vehicles sold need cash payment. Unless you have an NZ bank account or bank account in the same home country where bank transfers are easy, cash will be necessary. Make sure enough cash is accessible when beginning a vehicle search. People want to envision themselves in the vehicle, not cleaning a mess. When the vehicle is very dirty, it also gives doubt to the condition and how the vehicle was treated. Good pictures help attract buyers. 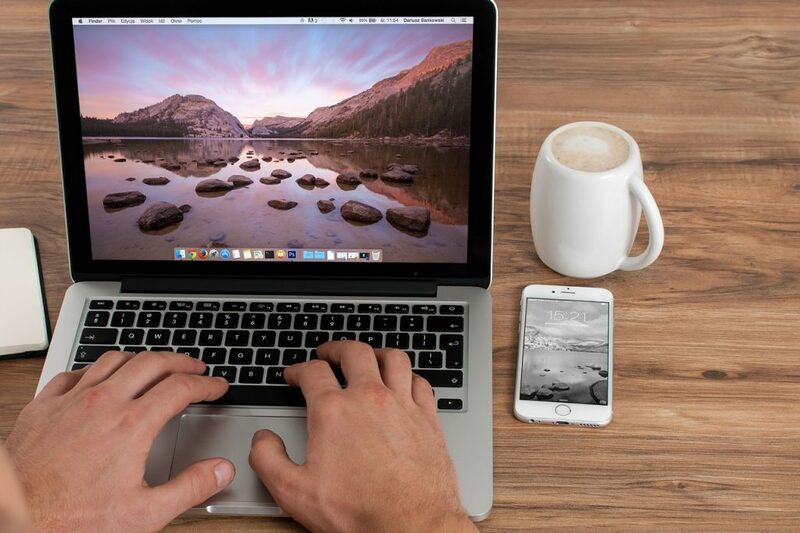 This can make a huge difference in getting interested viewers online. Make sure to take pictures just after the purchase, in as clean condition as possible. With good pictures for down the road, it is much easier to post online when ready to sell. Just as it is for buying a car, selling a car should be posted using different channels and methods. Always post before it is ready to sell to start getting attention. Post on websites such as TradeMe, backpacker forums, and Facebook groups. Be proactive and responsive. Make sure it is a priority and anyone who reaches out may be the potential buyer. Be polite and responsive to any questions they may have. Be willing to negotiate. No vehicle has a fixed price. Especially with the seasonality of backpackers in play, make sure to price fair and be willing to negotiate. There may be some gear needed such as camping equipment and mattresses or a tent. 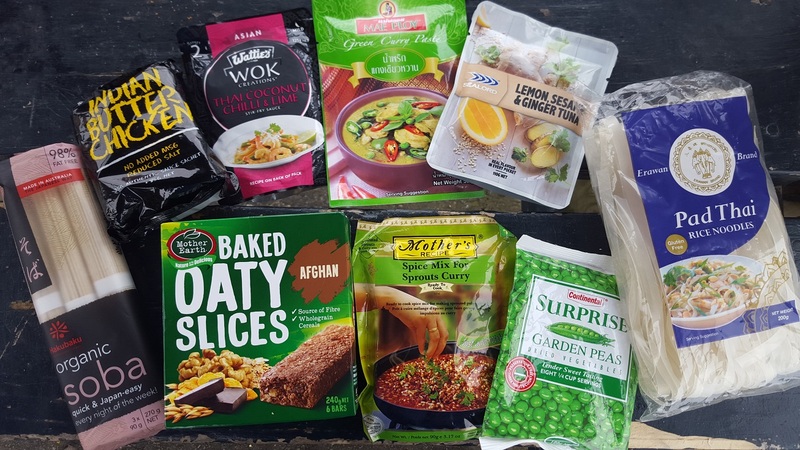 There is a big variance in prices based on the quality of the product, however, New Zealand has a good range of products from very cheap to very expensive. The Warehouse & K-Mart – Great low-end super stores with all kinds of products and basic camping gear. Products are very inexpensive and made of low quality, however for just a couple of months could be the best way to spend money on camping gear. Products available are sheets, blankets, tents, mattress pads, lanterns, tables, chairs, cooking gear, and other accessories. Matpac, Kathmandu, and Torpedo7 – Higher end outdoor brands that carry clothing, camping gear, and outdoor equipment. If you are looking to invest more in good quality products, these are a good place to start. The Warehouse – limited food, however, they had the cheapest cans (chick pea’s, four bean, tomatoes), chocolate and candies. PAK’nSAVE – our favorite store for quality, variety, and price. They are located less often than the below supermarkets, typically only in larger towns. Countdown – basic supermarket throughout New Zealand, typically with lower prices than New World. New Market – slightly higher-end supermarket than Countdown, located throughout New Zealand. Four Square – Small convenience store in all small towns throughout New Zealand. Fresh Produce Stands – Located on highways and near farms, there are many fresh veggie and fruit stands that commonly would have the best offerings for the best prices. Before hitting the road, it is crucial to download one or both camping apps. They essential to find campgrounds and have a wealth of information. Campermate – Awesome app for backpackers including information on campgrounds, places to go, public toilets, wifi, places for water, and much more. Be sure to read the comments! WikiCamps NZ – Another great app with even more filters and camping options listed than Campermate. Lack of comments and prices led us to use Campermate more often. However, there is information on DOC huts that can be very helpful. While it is unlikely anything will occur (New Zealand is a safe country), theft and car break-ins do occur. Hopefully, it won’t happen to you. Make sure to hide any belongings in the vehicle and do not leave valuables in the car. For peace of mind, we recommend getting travel insurance with World Nomads. You can book the coverage before OR during your trip and they have top rated insurance and theft protection. Don’t forget your handy travel guides. Grab your New Zealand Lonely Planet before you go! This is so fabulous and comprehensive! I love how you went into all the details, especially for someone coming in from out of country! Thanks so much Susan. I hope it helps! This very detailed guide. You have thoroughly covered every point regarding this and that is very helpful. Love to hear you following our blog and it is helpful for you! Where are your next adventures to?